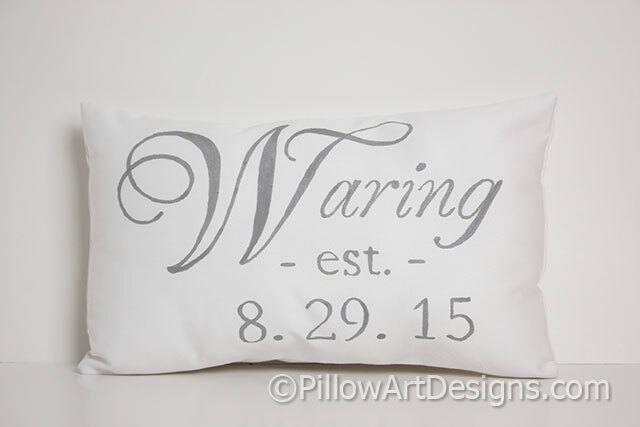 Small white pillow with name hand painted in script font above the word 'est' and the date in numerical format. 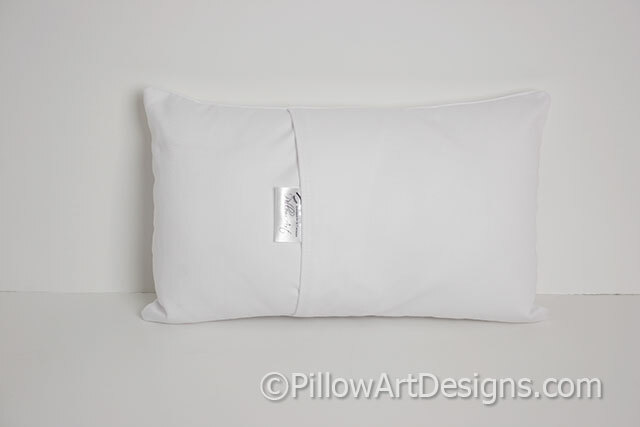 Measures 9 inches X 13 inches, comes stuffed with hi loft polyester fiberfill, no need for an insert. 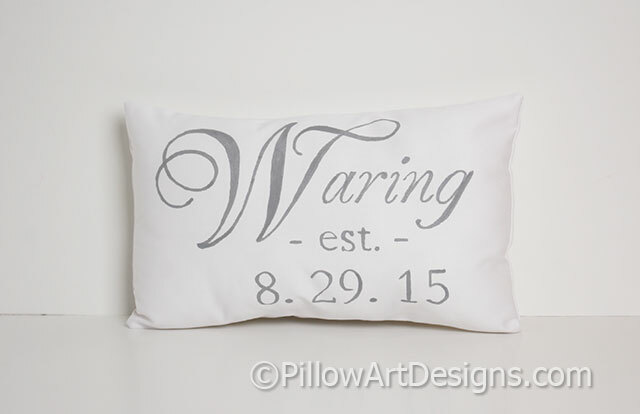 To order, simply purchase this listing and remember to send me the name and the date you wish for the front of the pillow. If you are sending direct to the gift recipient, I will gladly enclose a card with your message written inside. 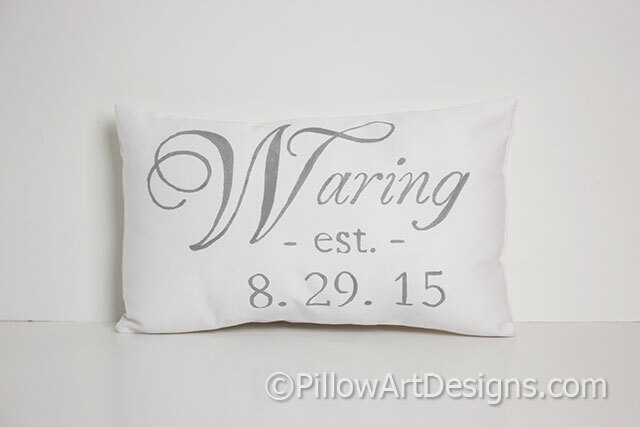 Contact me after you order with your instructions.